Spiders or web crawling bots are sent to crawl your site for content before it’s indexed for search — but they aren’t looking at it the way a consumer would. Instead, they’re crawling for meta content, keyword saturation and other relevant considerations, making it important your site not just speak to the customer but, also, to these crawls. Granted, this doesn’t mean you should sacrifice the user experience for content and keyword integration that would maximize these crawls. But, at the same time, if your site isn’t showing up in searches then it’s time for a content makeover that will ensure solid flow with optimization best practices that will move the needle, plus metas, reducing Flash and improving other key descriptors that will help your move up the ranks. No matter your design or technical skill level it’s important you can quickly and easily update your site as needed, without heavy lifting — or hefty bills. Having a beautiful, professional site is critical to a brand’s success but, at the same time, it’s important to remember that the digital space is moving at lightening speed — and that means, more often than not, you’re going to have to update and enhance your site from time to time to ensure you’re keeping pace with consumer demands. If basic updates to your site — adding a new blog post, a new product or description, testing homepage visuals or integrating social add-ins, for example — are difficult or borderline impossible it’s time to consider a site makeover. Given the host of sophisticated and simple platforms out there, having a user-friendly and owner-friendly site aren’t mutually exclusive anymore. 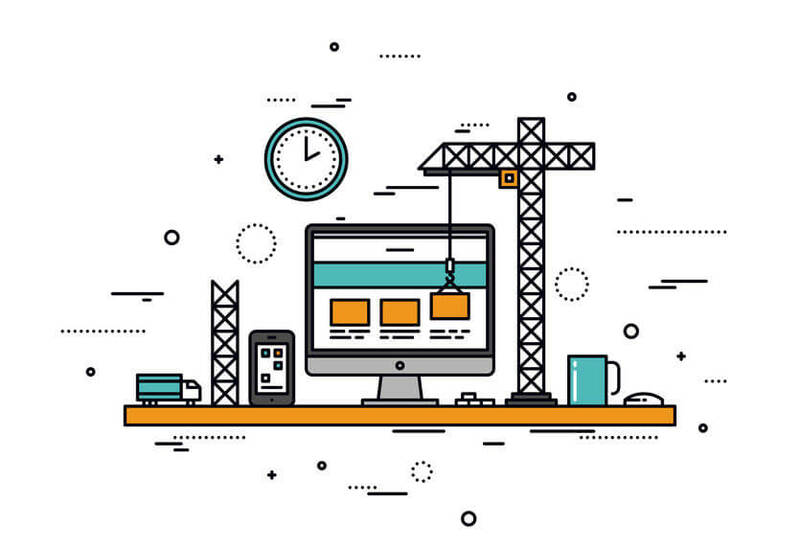 Is Your Website In Need Of A Facelift? Contact our Website Design experts today and receive complimentary analysis of your current website. Is your site tough to navigate? Is contact information buried? Does contacting your business mean clicking back and forth from the website to email and back again? It’s time for an upgrade. More and more contact information and forms are linked to conversion. In other words, customers equate ease of interaction and contact with great customer service — and, overall, with a positive brand experience. The simpler it is to get in touch and get the information they need the closer you’ll be towards a rock solid and long-term relationship — and that matters. Whether it’s a form or easy to find contact info, make sure getting in touch is simple. A recent HubSpot survey revealed that conversion rate improved by almost half when they reduced a contact form field from four to three — and that’s something. As you’re considering elements for your site makeover make sure the contact process and make it easy for customers to get in touch, get what they need and get back to your site — both you and the consumer will benefit. At the end of the day people want to be told what to do — and, chances are, if you make a good, reasonable suggestion they’ll fall in line…and that’s the power of a strong call-to-action (CTA). If you aren’t asking for the conversion — the purchase, the click through, the email sign up — then you aren’t maximizing the power of your website. Without the suggestion in their ear consumers won’t feel the same pull to read the article, buy the sweater or share the post with a friend — but if you simply tell them then it’s out there and, chances are, many will take the hint. If your site doesn’t have clear, compelling CTAs then it’s time for a makeover. Think about what you want a customer to do then, as simply as possible, tell them to do it. The CTA should be overt, clear and prominent — a button, large font or other visual is a good start. And, beyond that, be sure you’re integrating more than one — use CTAs to drive any engagement from downloads to purchases to shares. Consumers have limitless options when it comes to digital content and purchases. Thanks to the internet boom it takes a fraction of a second to find an alternative website, article, tool or product — and that means your business has more competition than ever. The easiest way to ensure more customers stay on your site longer — and, with that, do more, engage more, consumer more and buy more — is by making your business proposition clear immediately. Visitors should know and understand what your brand and your site offers from the first second they arrive and, more importantly, feel the pang of connectivity that increases time spent and overall activity. If your bounce rate is high or if there isn’t a clear, immediate takeaway throughout your site, it’s time for a major improvement — an improvement that will have significant impact on your bottom line. In thinking about your business proposition, give thought to what makes your brand, site, service or products valuable — why should consumers choose you? Why are you the best option? What value do you lend that others don’t? And can you prove it with testimonials, historical data or other compelling evidence? Be succinct and direct with your business proposition — remember, you’ve only got a fraction of a second to engage visitors or they’ll disappear. Consider integrating your message into your main homepage visual, global footer and other high value site sections and, even, linking those to CTAs. The possibilities are endless when your proposition is solid. Ready to get the most from your website? Contact our website design team today about a customized solution for your company. Would This Article help someone you know? Share it!